IT Support - Runwell Solutions, Inc.
WE CAN TAKE THE BURDEN OF IT OFF YOUR PLATE AND HELP YOU MAKE WISE CHOICES. We love learning about you: what you do, what drives you, and about your business needs. Our passion for the success of your business drives us to deliver the best solutions and services we can. Our Dispatchers answer phones typically on the first ring. We’ll get an engineer working on your issue as soon as possible, typically within an hour. Each and every engineer’s main goal is to ensure you get the best – and quickest – resolution to your problem. With our monitoring system, we’re typically able to prevent big issues from occurring in the first place. Runwell is a one-stop-shop for all your IT support needs. 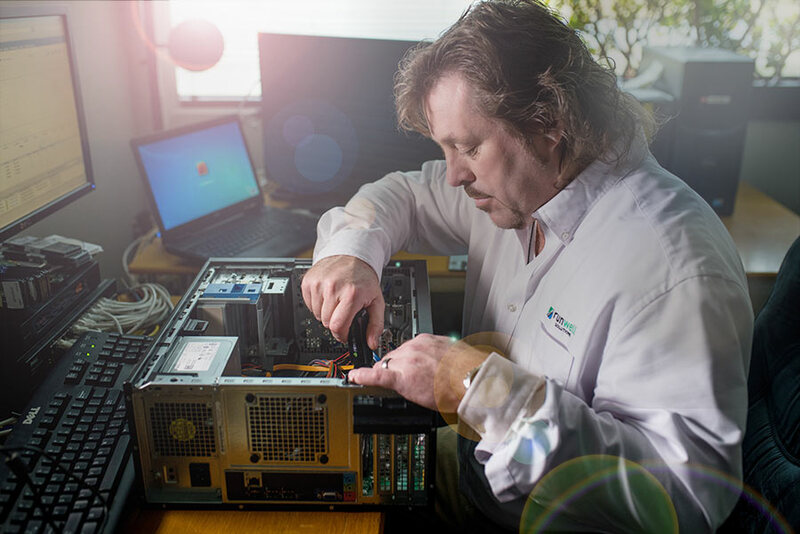 We can handle support for your computers, laptops, tablets, smartphones, printers, network cables, switches, wireless equipment, firewalls, servers (virtual or physical), backup (onsite and offsite). We’re well-versed in working with a wide range of line of business software applications, such as Microsoft Office, QuickBooks, document management systems, time and billing software, tax suites and so on. We can also help manage your Internet Service Provider and Telephone vendors so you don’t have to deal with the headaches that sometimes come with those vendors.